December 13th, 2018 - Utomik is happy to offer an update to its client full of new, much requested features such as Achievements and Add To List! 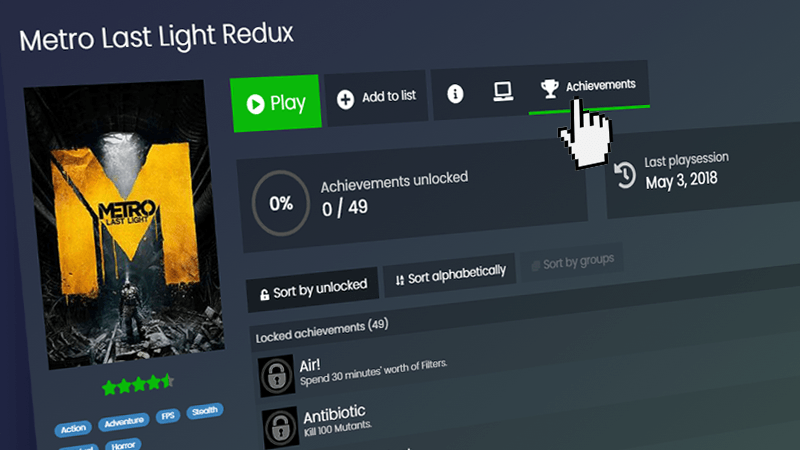 Achievements add a new way to approach the games you already love on Utomik while Add To List offers a means to save a title for later that caught your eye. These are just two recent improvements to the platform as we’re continuously listening to user feedback to further shape Utomik as the most user-friendly service available. We've added achievement support for the most recent releases on Utomik and we’ll continue to provide achievements for all new releases to come! Do you have an old favorite that you’d want to see achievements for? We’ve got you covered there too! We’re adding achievements for existing games on the platform and will roll these out over the coming months. Add To List will help you keep track of which games from our 850+ you want to play, in a simple and streamlined way. Simply clicking “Add to list” will curate a personal channel showing all the games you’ve selected and that you’re excited to play. 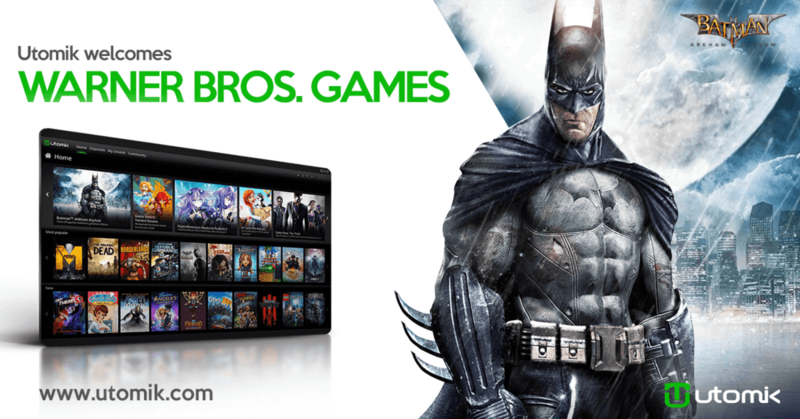 Utomik provides 850+ PC games in a monthly subscription, with more titles being added every week. Using our state of the art technology, games are playable after downloading only a small part. Get the full gaming experience with no streaming and no lag. September 4th, 2018 - Utomik is proud to announce a brand new partnership with Crunchyroll, the world's largest destination for anime and manga. Utomik will be included in the Crunchyroll Super Fan Pack subscription tier announced on September 3rd at the Crunchyroll Expo. 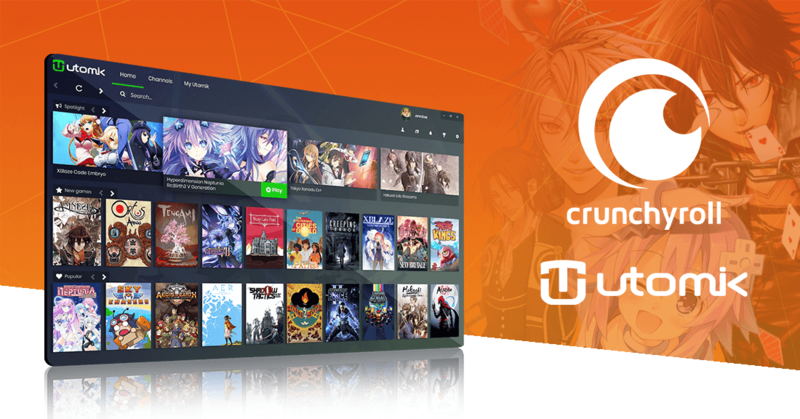 Utomik will help their 1 million active subscribers discover and enjoy unlimited gaming when the Crunchyroll Super Fan Pack launches in Q4 2018. Subscribers who opt either to join or upgrade to the Crunchyroll Super Fan Pack will be able to enjoy the full Utomik experience, as well as additional services from complementary partners. As announced during Crunchyroll Expo, J-Novel Club and ANiUTa will also be included in the new subscription tier. 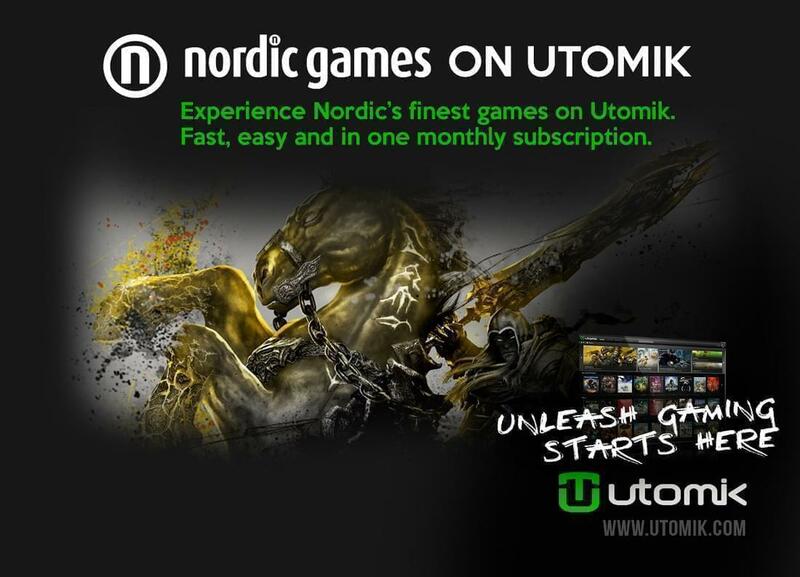 Utomik provides 800+ PC games in a monthly subscription, with more titles being added every week. Using our state of the art technology, games are playable after downloading only a small part. Get the full gaming experience with no streaming and no lag. There is a wide variety of games available thanks to partnerships with publishers and developers such as Idea Factory International, SEGA, Warner Bros. Games, Aksys Games, Curve Digital and 100+ more. Games from multiple genres such as JRPG, Visual Novels, Strategy, Action Adventure, Puzzle and many more provide a deeply diverse catalogue with something to enjoy for every kind of gamer. Utomik is a Dutch-based startup founded in September 2014 by a highly experienced management team of game industry veterans. For a fixed monthly fee, subscribers get unlimited access to play as many PC games as they like for as long as they like. Utomik’s technology makes the experience of playing games as easy as listening to music or watching videos on other popular subscription services. With our smart download tech, you play games after downloading only a small part.Get the full gaming experience with no streaming and no lag. For more information, head to www.utomik.com. Crunchyroll is the world’s largest destination for anime and manga, boasting a global community of more than 40 million registered users and over 1 million subscribers. Fans connect through the most complete anime library including "Naruto Shippuden", "Attack on Titan", and "Dragon Ball Super" events such as Crunchyroll Expo, Anime Awards, Crunchyroll News, and can purchase related merchandise through its online store. Through its app on game consoles, set-top boxes, mobile devices and more, Crunchyroll delivers content from leading media producers directly to viewers translated professionally in multiple languages. The service is available for free or through a premium offering that allows users to watch ad-free with access to simulcasts—top series available immediately after Japanese broadcast. 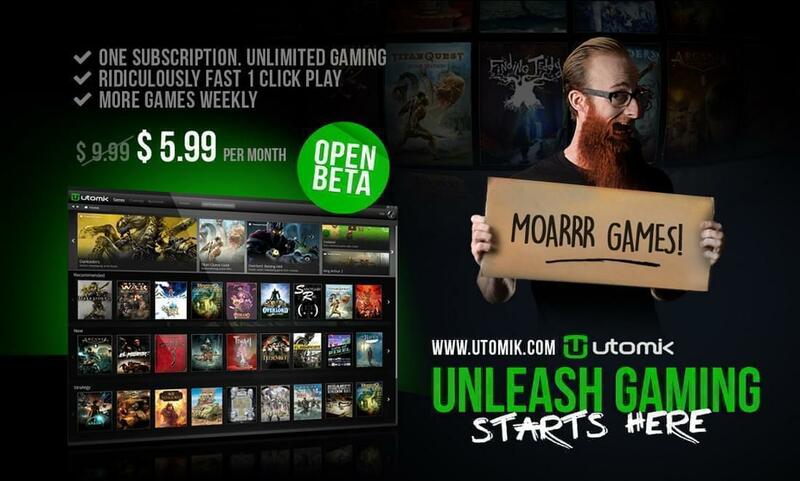 Utomik, the unlimited play PC gaming subscription, officially launches today. This following our initial open beta launch in March of 2016. We have grown from an independent startup with no industry support to having a library of over 750 games and 100+ publishing partners in a little over 2 years. That support includes Warner Bros. Games, Disney, SEGA, THQ Nordic, Epic Games, Curve Digital, IO Interactive and many more. It is more than any other subscription gaming platform out there and it is just the beginning. Founded in 2014 by a small team of dedicated Dutch gamers, Utomik is a pioneering startup based in The Netherlands and California with offices in Eindhoven and Los Angeles. It is one of the first subscription based gaming platforms to hit the market. We are proud to be an integral part in bringing the Netflix and Spotify model to the world of video games. As we are now officially launched, users get unlimited access to play over 750 games for USD 6.99 a month* or USD 9.99 a month for a four-person Family Plan. The launch will also include a new and improved client design. Recent additions to our service include the Batman: Arkham series, Saints Row IV, Human: Fall Flat, Shadow Tactics: Blades of the Shogun, The Flame in the Flood, Furi and many more. With weekly new releases and 20+ games added a month, we ensure the selection remains fresh. 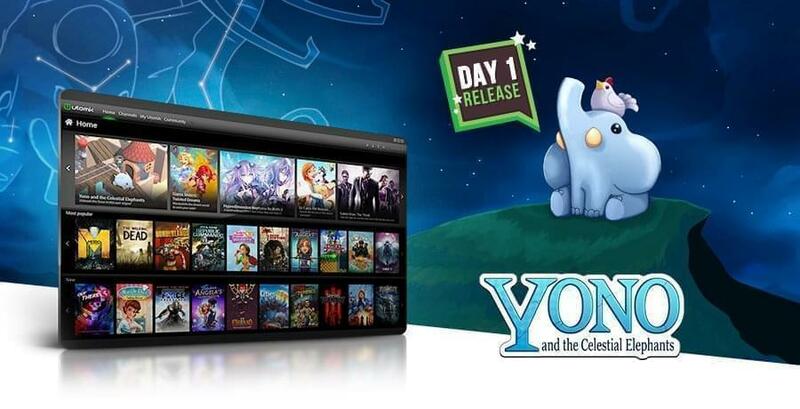 We were the first subscription service to bring Day One Releases to our platform, like Yono and the Celestial Elephants and Newt One, and subscribers can expect even more of those in the future. Noticed we snuck in IO Interactive when we mentioned some of our current partners earlier? We are extremely happy to announce that we recently partnered with IO Interactive to bring the Hitman series to Utomik! The ink is still drying, but you can expect the first games to go live this summer. Our smart download technology ensures you play games instantly with the click of a button. Instead of streaming games from a server, Utomik users download a small part to their own PC. The rest downloads to their PC while they play. This technology has continued to improve greatly over the years, ensuring the fastest and best possible gaming experience! We want to thank everyone who has supported us over the years and helped us get to this point. Those interested in signing up or starting a free 14-day trial can head to our website. *: Users that subscribed before our announcement on December 19th of last year will keep the open beta price of USD 5.99 for as long as they stay subscribed. People that signed up between December 19th and today will keep the open beta price for another twelve months. Utomik Inc. is a USA and Dutch-based innovative startup founded in September 2014 by a highly experienced management team with over 70 years of combined game industry experience. The company’s new online PC gaming subscription service offers unlimited gaming for a fixed monthly fee. Its unique technology makes playing games as easy as listening to music on Spotify. Utomik-powered games start in one easy click and continue to load to a user’s PC while they play. Utomik downloads a small part to the hard disk, enough to start playing fast. The rest loads to the PC while playing. Get 100% original games, no video streaming. For more information, head to www.utomik.com. 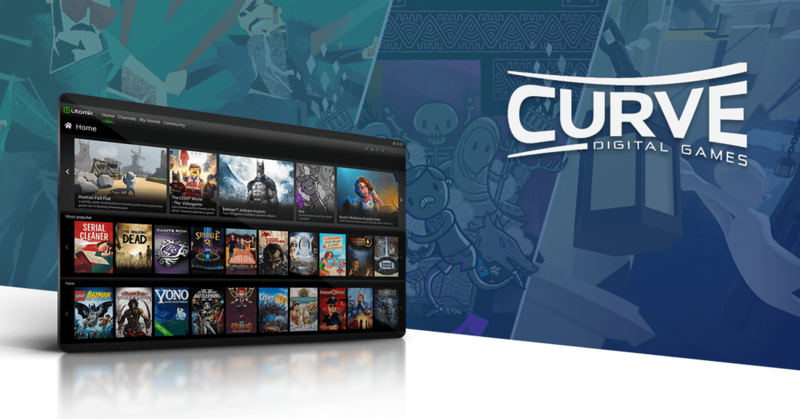 We proudly announce to have partnered with indie publisher extraordinaire, Curve Digital! Starting today, we unleash an amazing selection of high-quality titles on Utomik, your unlimited play PC gaming subscription. Just as they like to do at Curve, we will let the games do the talking. Experience the multi-award-winning Hue, YouTube sensation Human: Fall Flat, hilarious couch cooperative Stikbold! A Dodgeball Adventure, gorgeous stealth game Serial Cleaner, and the (literally) breathtaking Manual Samuel! New users can sign up for a 14-day free trial on www.utomik.com and give the service a spin. Utomik Inc. is a USA and Dutch-based innovative startup founded in September 2014 by a highly experienced management team with over 70 years of combined game industry experience. The company’s new online PC gaming subscription service offers unlimited gaming for a fixed monthly fee. Its unique technology makes playing games as easy as listening to music on Spotify. Utomik-powered games start in one easy click and continue to load to a user’s PC while they play. Utomik downloads a small part to the hard disk, enough to start playing fast. The rest loads to the PC while playing. Get 100% original games, no video streaming. For more information, go to www.utomik.com. Utomik brings you a weekly growing library of 660+ hand-picked games. Instantly access a varied collection of blockbuster classics, retro gems, indie games and family-friendly titles. With Utomik’s smart download tech, you play games instantly in a single click. We are excited to announce several legendary Ubisoft games are coming to Utomik, including Prince of Persia®: Warrior Within™ and Prince of Persia®: The Two Thrones™. 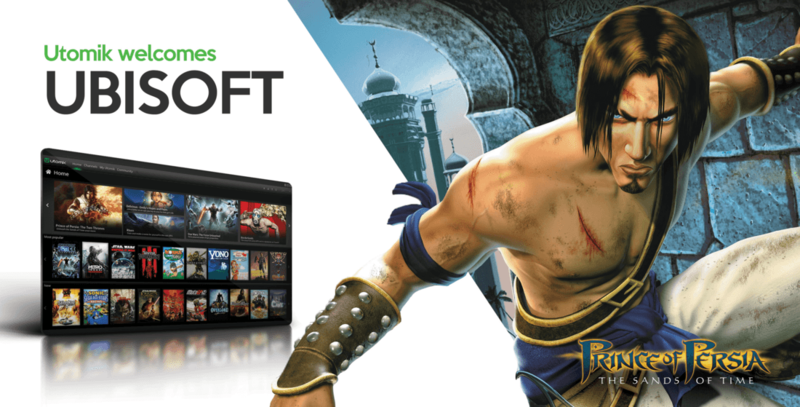 You can play the award-winning Prince of Persia®: The Sands of Time right now in your subscription – and look forward to more exhilarating action the coming months! 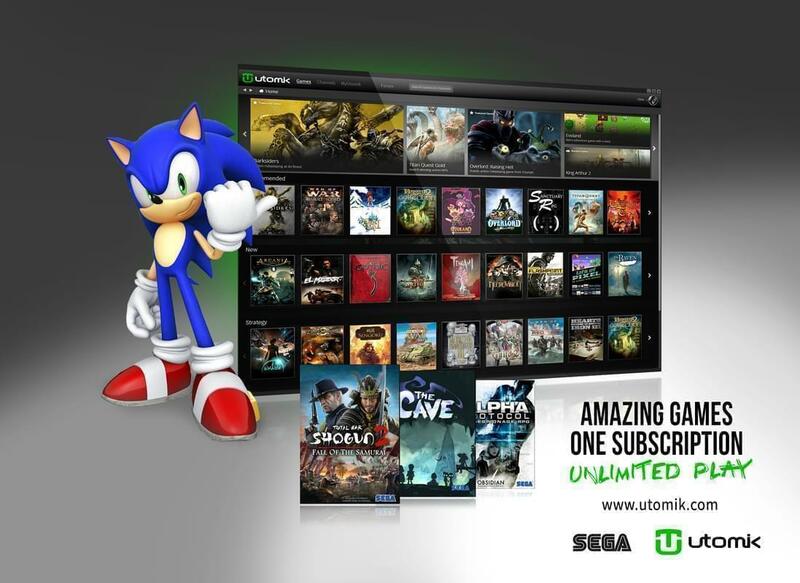 Utomik is your unlimited play PC gaming subscription. Access a weekly growing library of 650+ hand-picked games, including blockbuster classics, retro gems, indie games and family-friendly titles. With Utomik’s smart download tech, you play games instantly in a single click. Discover something awesome every day! Utomik Inc. is a USA and Dutch-based innovative startup founded in September 2014 by a highly experienced management team with over 70 years of combined game industry experience. The company’s new on-line PC gaming subscription service offers unlimited gaming for a fixed monthly fee. Its unique technology makes playing games as easy as listening to music on Spotify. Utomik powered games start in one easy click and continue to load to a user’s PC while they play. Utomik downloads a small part to disk, enough to start playing fast. The rest loads to the PC while playing. Get 100% original games, no video streaming. For more information, go to www.utomik.com. 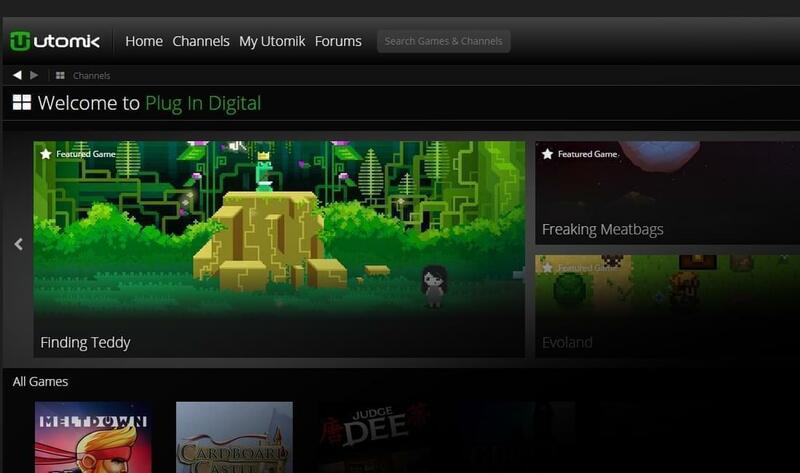 Utomik, the unlimited play gaming subscription service for PC, is the first to offer day one releases on its service. Together with publishing partner Plug In Digital, the first game released on Utomik at the same time as everywhere else is Yono and the Celestial Elephants. Utomik subscribers can get excited for many more of these day one releases in the near future. Utomik shifts the way players consume games. Our highly-curated library of titles offers a wide variety of genres, focused on discovering the unexpected. Check out this Zelda-inspired adventure platformer now on Utomik! Adding Day One releases is a major step towards the future of subscription gaming services. We bring you a weekly growing library of hand-picked games for only $5.99! Enjoy playing a variety of games? Our games library shines with diversity, discover something new every day. It’s now incredibly easy to play blockbuster classics, retro gems and fresh indie games. With our smart download tech, you play games instantly with the click of a button. Utomik covers a lot of ground, from action and strategy to casual and indie. 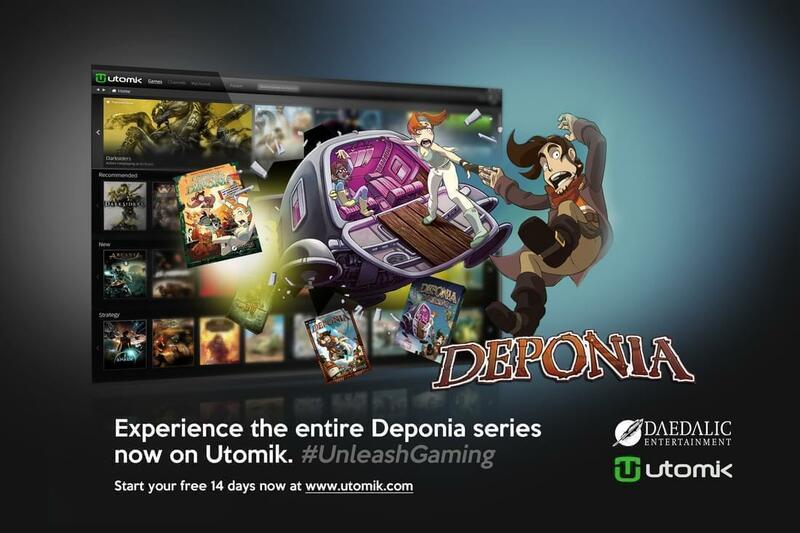 Discover your new favorite game with Utomik! Gaming is all about passion and reaching new heights. From the day we started our humble company, we worked tirelessly to reach our ultimate goal: Unleash gamers by giving them the best games in one affordable subscription service. With the superpowers from all our partners combined, we have reached a new industry record: the first gaming subscription with 600 games! Taking one step at a time, we are very proud to have become the best value for money PC game subscription with games from over 60 leading publishers such as Disney, SEGA, Deep Silver and Telltale. “We are proud to set this industry record. This is just the beginning though. We have many exciting announcements lined up for the coming months!” — Doki Tops, CEO Utomik. Utomik brings you a weekly growing library of hand-picked games for only $5.99! Enjoy playing a variety of games? Utomik shines with diversity, discover something new every day. It’s now incredibly easy to play blockbuster classics, retro gems and fresh indie games. With our smart download tech, you play games instantly with the click of a button. Utomik covers a lot of ground, from action and strategy to casual and indie. On top of that, we go above and beyond to also bring you more recently released games. Discover your new favorite game with Utomik! The unlimited play gaming subscription service expands its service with popular titles from publisher Deep Silver – reaches the 500 games live milestone. 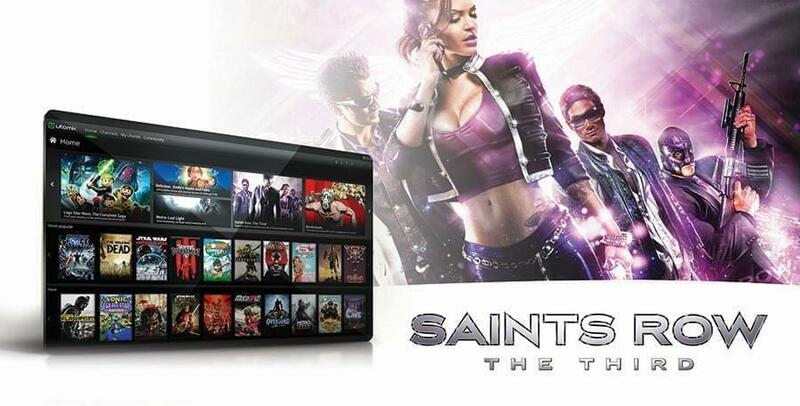 Utomik, the ‘unlimited play’ monthly subscription gaming service, is expanding its games offering with Deep Silver, including the popular Saints Row series, Risen and Metro 2033 Redux. These new additions push Utomik’s growing game library past the 500 games milestone. The deal with Deep Silver marks a continued trend of leading publishers joining Utomik to release games in a subscription service, and comes quickly after the announcement of Disney. The first games from Deep Silver that are playable right now on the service include Metro 2033 Redux, Dead Island: Riptide and Risen. More games will become available to subscribers in the following months. The Deep Silver games are the newest addition to Utomik’s ever-growing library of games now featuring over 500 playable PC games. Utomik adds up to thirty games per month, from leading game publishers across many genres, offering something fun for everyone. From timeless classics, retro and indie games to AAA all stars. Utomik B.V. is a USA and Dutch-based innovative startup founded in September 2014 by a highly experienced management team with over 70 years of combined game industry experience. The company’s new on-line PC gaming subscription service offers unlimited gaming for a fixed monthly fee. Its unique technology makes playing games as easy as listening to music on Spotify. Utomik powered games start in one easy click and continue to load to a user’s PC while they play. Utomik downloads a small part to disk, enough to start playing fast. The rest loads to the PC while playing. Get 100% original games, no video streaming. For more information, go to www.utomik.com. WESTLAKE VILLAGE, USA - Utomik, the “unlimited play” monthly subscription gaming service, is expanding its offering with the launch of a new Family Plan, which includes several popular Star Wars™ games. 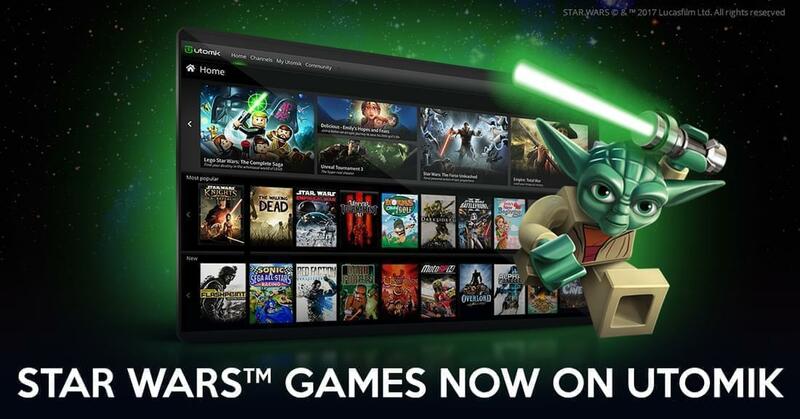 Utomik announced that a first set of popular Star Wars games is now playable on the service, including LEGO® Star Wars™ - The Complete Saga, Star Wars™ The Force Unleashed Ultimate Sith Edition, STAR WARS™ Knights of the Old Republic, Star Wars™ Empire at War and Star Wars™ Battlefront™ II. 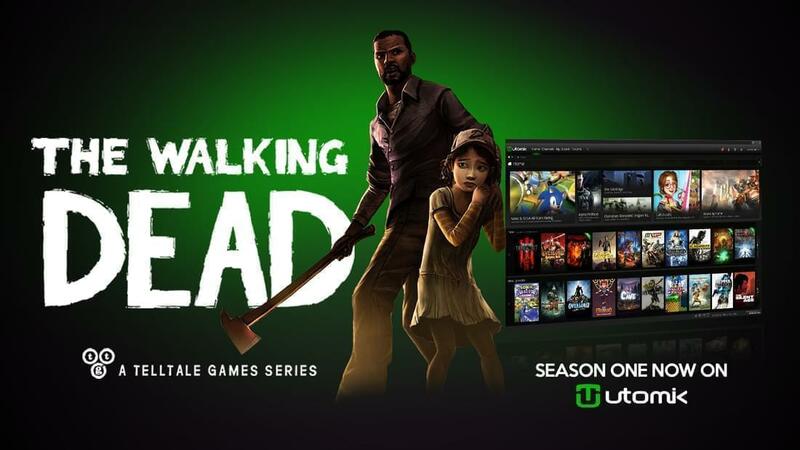 WESTLAKE VILLAGE, USA - Utomik, the “unlimited play” monthly subscription gaming service, today announced that as a result of its new partnership with Telltale Games, season one of The Walking Dead, is now playable on its platform. The Walking Dead: A Telltale Games Series is the first of many Telltale titles to be made available via Utomik. A critically acclaimed winner of over 100 Game of the Year awards, The Walking Dead: A Telltale Games Series is set in the world of Robert Kirkman's award-winning comic book series. Lee Everett, a man convicted of a crime of passion, has been given the chance for redemption in a world devastated by the undead. Players will experience life-changing events, meet new characters and familiar ones from the original comic, and also visit locations that foreshadow the story of Deputy Sheriff Rick Grimes. The Walking Dead offers a tailored game experience – player actions, choices and decisions affect how the story plays out across the entire series. Utomik’s vision is to ‘Unleash Gaming’ by enabling consumers to access games as easily as they do TV shows, films and music today. 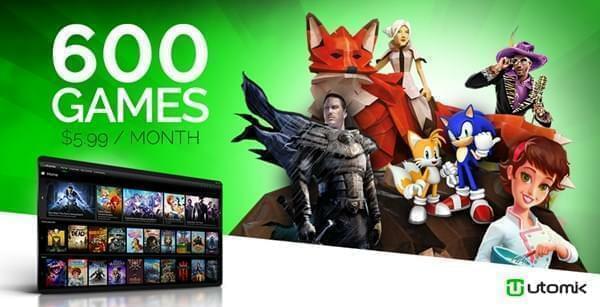 Its monthly subscription offers consumers unlimited play on as many games featured on the service as they like. The Walking Dead: A Telltale Games Series is a highly acclaimed new addition to Utomik’s ever-growing library of games now featuring more than 360 playable games. Thanks to Utomik’s partnerships with leading publishers and developers, games, in all genres, are added each week. Currently in open beta at a 40% discounted price of $5.99 per month, new users can try out the service 14 days for free by registering on www.utomik.com. Utomik B.V. is a USA-based innovative startup founded in September 2014 by a highly experienced management team with over 70 years of combined game industry experience. The company’s new on-line PC gaming subscription service offers unlimited gaming for a fixed monthly fee. Its unique technology makes playing games as easy as listening to music on Spotify. Utomik Powered games start in one easy click and continue to load to a user’s PC while they play. As games are running from a PC and not being streamed from a server, users can experience 100% of the original game quality. Gone are the long waiting times for downloads and installations, as well as unreliable, low quality video streaming - a great frustration for many gamers. For more information, go to www.utomik.com. Telltale is a leading and award-winning independent developer and publisher of games for every major interactive platform from home consoles and PC to mobile and tablet devices, and is the pioneer of the episodic delivery of digital gaming content. By successfully developing games as an episodic series and frequently releasing in the format of a game season, they create longer consumer engagement than traditional games for each release. Founded in 2004 by games industry veterans with decades of experience, Telltale has quickly become an industry leader with numerous honors and awards from the Academy of Interactive Arts and Sciences, BAFTA, SXSW, the IMGA, and more, as well as being named Studio of the Year across multiple years. Telltale's reputation for quality has been established across more than two dozen different product releases over the years with recognition and acclaim from publications like IGN, The New York Times, and Variety, including over 100 "Game of the Year" awards from publications like USA Today, Yahoo! Games, Wired, Spike TV VGAs, E!, Official Xbox Magazine, The Telegraph, Metacritic, and more. Telltale is a fully licensed third party publisher on consoles from Microsoft, Sony, and Nintendo, and also publishes games on the PC, Mac, iOS, and Android-based platforms. For more information, visit www.telltalegames.com. 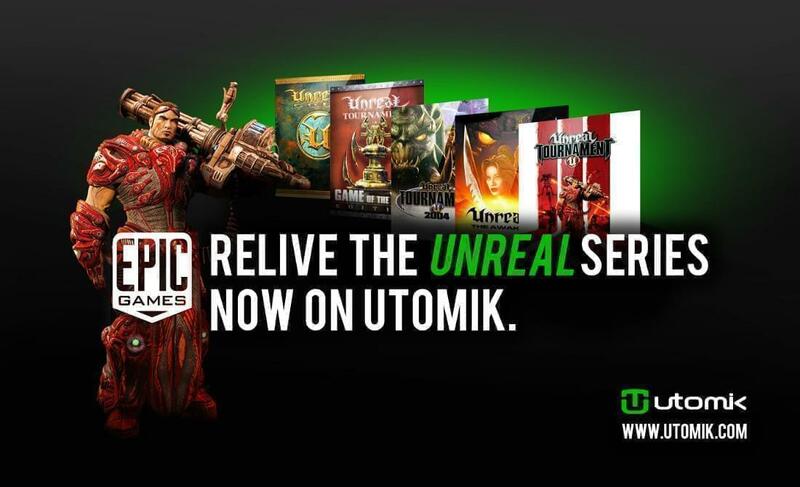 WESTLAKE VILLAGE, USA - Utomik, the instant play “unlimited gaming” monthly subscription service, today announced that five favorites from the acclaimed Unreal series of games, published by leading developer, Epic Games, will become available on its service. As of today, three titles are already playable on the service. The addition of these games brings the total number of playable titles now on Utomik up to over 240 including 76 action games of which ten are FPS games. North Carolina-based, Epic Games, launched the original Unreal game in 1998, which also marked the first release of the studio’s Unreal Engine technology used to power thousands of games. Now in its fourth generation, the Unreal Engine is freely accessible, with full source code available to the Unreal Engine 4 development community. Utomik’s vision is to “Unleash Gaming” by enabling consumers to access games as easily as they do TV shows, films and music today. The monthly subscription service offers consumers unlimited play on as many games featured on the service as they like, with more titles added each week. Utomik is currently in Open Beta at a 40% discounted price of $5.99 per month. New users can try out the service 14 days for free by registering on www.utomik.com. "At Epic our passion is to make great games that we love to play and to get them into the hands of as many players as possible," said Joe Kreiner, Epic's head of licensing for the Americas. "We're pleased to grow our community even further by bringing titles from our flagship Unreal series to Utomik." Founded in 1991, Epic Games is the creator of the Unreal, Gears of War and Infinity Blade series of games. Today Epic is building Paragon, Fortnite, SPYJiNX and the new Unreal Tournament. Epic’s Unreal Engine technology brings high-fidelity, interactive experiences to PC, console, mobile, the Web and VR. Unreal Engine is freely available at Unreal Engine. For more information on the studio, visit epicgames.com and check out @EpicGames. Los Angeles, CA, May 16, 2016 – VUBIQUITY, the leading global provider of services connecting content owners and video providers to deliver entertainment to any screen, today announced it will be the exclusive global B2B commercial distributor for Utomik, the “unlimited gaming” monthly subscription service. Utomik offers users unlimited play with access to hundreds of popular and classic PC games that they can start playing quickly due to its instant “1-click” play system. The partnership marks VUBIQUITY’s first major foray into the $32 billion PC gaming industry and will provide broadband distributors with unfettered access to a market of hundreds of millions of gamers. For Utomik, the deal provides potential to gain new subscribers as well as to increase brand awareness. Through the deal, VUBIQUITY’s affiliate partners can either bundle Utomik’s monthly service with subscription broadband packages or offer the service separately, “a la carte”, with minimal overhead or capacity concerns. VUBIQUITY will lead marketing and sales efforts while Utomik will continue to operate its service directly to consumers through its standalone system. Founded in 2014, the Silicon Valley-based Utomik has captured the imagination of the gaming industry through its vision to “Unleash Gaming” by enabling consumers to access games as easily as they do TV shows, films and music. To date, the service is available in over thirty markets and has secured publishing contracts with sixteen partners for more than 650 titles. Its unique and proprietary instant play technology loads games up to 100 times faster than any other service and means that users can enjoy lag-free play in the game’s original quality. In April, Utomik inked a deal with SEGA to add over twenty of their legendary games to their expanding library including Total War™ and Sonic the Hedgehog™. WESTLAKE VILLAGE, USA - Utomik, the instant play “unlimited gaming” monthly subscription service, today announced that the award winning Deponia Series, including Deponia, Chaos on Deponia, Goodbye Deponia and Deponia Doomsday from Daedalic Entertainment are now immediately playable on its service. This is the result of a new partnership between Utomik and Daedalic Entertainment, and brings the total number of games now playable on Utomik close to 220. The addition of the thirty-two Daedalic titles into Utomik brings subscribers of the service unlimited play of 89 epic adventure titles. The service has now secured publishing contracts with sixteen partners for a total of more than 650 titles. Daedalic Entertainment is the multiple winner of the German Computer Game Award and the European Games Award and with titles including Goodbye Deponia, it has won the German Developer Award twenty-one times. Additionally, Chaos on Deponia earned Daedalic the German Developer Awards for “Best Adventure of the Year”, “Best Sound”, and “Best Story of the Year” in 2013. Utomik's vision is to “Unleash Gaming” by enabling consumers to access games as easily as they do TV shows, films and music today. The monthly subscription service offers consumers unlimited play on as many games featured on the service as they like, with more titles added each week. Utomik is currently in Open Beta at a 40% discounted price of $5.99 per month. New users can try out the service 14 days for free by registering on www.utomik.com. LONDON + WESTLAKE VILLAGE, USA - SEGA, a world leader in interactive entertainment, and Utomik, the instant play “unlimited gaming” monthly subscription service, today announced that they have entered into a partnership agreement. For SEGA, this co-operation opens up a completely new distribution channel for its existing PC game titles and accessibility to a wider group of consumers. For Utomik, this represents a further boost to its fast growing library of games as well as another industry validation of its vision to “Unleash Gaming” by enabling consumers to access games as easily as they do TV shows, films and music today. The initial addition of twenty-one SEGA PC games into Utomik for Europe and the USA marks the start of this long-term partnership. The new games include titles like Alpha Protocol™, The Cave™ as well as EMPIRE: Total War, Total War: SHOGUN II - Fall of the Samurai and Sonic the Hedgehog 4, Episodes I & II. Globally, SEGA has offices in the US, the UK and Japan where Sonic the Hedgehog™ - SEGA's much loved blue hedgehog mascot was born. Its UK-based studio, Creative Assembly, is responsible for the award-winning and iconic franchise, the Total War series. Utomik’s monthly subscription offers consumers unlimited play on as many games featured on the service as they like, with more titles added each week. Today, 190 games are playable and the service has secured publishing contracts with fourteen partners for over 650 titles. Utomik is currently in Open Beta at a 40% discounted price of $5.99 per month. New users can try out the service 14 days for free by registering on www.utomik.com. Utomik's unique and proprietary instant play technology loads games up to 100 times faster than any other service. All games on Utomik can be played lag-free and 100% in the original quality. WESTLAKE VILLAGE, USA - Utomik, the “unlimited gaming” subscription service, today announced the start of its open beta period at a discounted introductory price of $5.99 per month as well as a free, no strings attached, 14-day trial. As from today, consumers can subscribe to Utomik’s open beta service that features games including Darksiders, Overlord, Titan Quest, The Raven, Evoland II and many more. Utomik open beta is now live in 30 countries across Europe, Canada and the US, with more countries following soon. 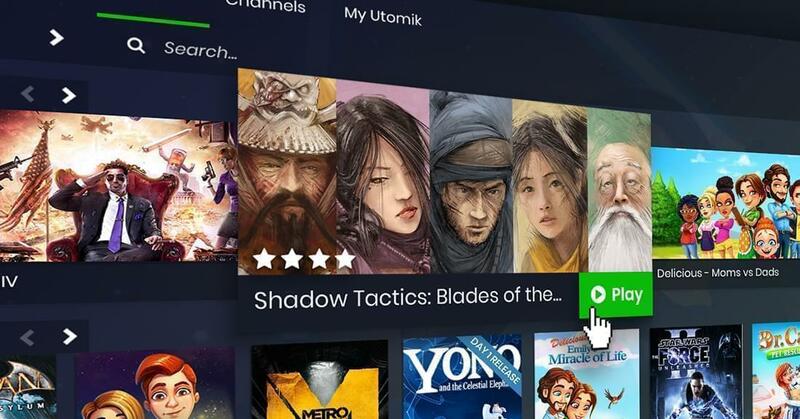 With a Utomik monthly gaming subscription, normally priced at $9.99 per month but discounted to $5.99 during open beta, consumers can play as many games featured on the service as they like, for as long as they want. Today, 145 games are available to choose from with more added each week. Utomik has secured publishing contracts for 600 titles including AAA, Indie and casual games as well as timeless classics and unexpected gems. Utomik’s service is advertisement-free. Users can register to join the open beta here. Utomik's unique and proprietary instant play technology loads games up to 100 times faster than any other service. 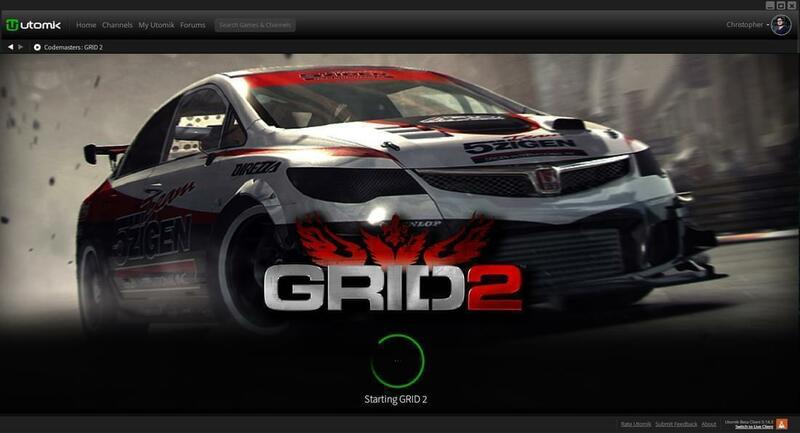 It downloads a small part of the game to a user’s hard disk, enough to start playing very quickly, while the rest continues to download to their PC. As games are played directly from a consumer’s own PC – it is lag-free play and has 100% original quality. Utomik's vision to "Unleash Gaming" is designed to bring more games to more people by moving the industry into the era of subscription gaming, enabling consumers to access games as easily as they do TV shows, films and music today. Previously, Utomik ran in closed beta mode and during this time, the service generated over 16,000 sign-ups and was extremely well received by its community. On a ratio of 1-10, when asked how fast games start on Utomik, the average emerged at 8 or higher. 77% said they would recommend it to a friend and 63% stated they enjoyed discovering new games this way. Utomik B.V. is a USA-based innovative startup founded in September 2014 by a highly experienced management team with over 70 years of combined game industry experience. The company's new on-line PC gaming subscription service offers unlimited gaming for a fixed monthly fee. Its unique technology makes playing games as easy as listening to music on Spotify. Utomik Powered games start in one easy click and continue to load to a user's PC while they play. As games are running from a PC and not being streamed from a server, users can experience 100% of the original game quality. Gone are the long waiting times for downloads and installations, as well as unreliable, low quality video streaming - a great frustration for many gamers. For more information, go to www.utomik.com. WESTLAKE VILLAGE, USA - Utomik, the “unlimited gaming” subscription service, today announced that it has signed a partnership agreement with Nordic Games GmbH, a leading global game publisher based in Vienna, Austria. The agreement means that leading Nordic titles, including Darksiders, The Raven, Red Faction and Painkiller titles are all becoming available via Utomik’s subscription service. This latest partnership expands further Utomik’s library of games, with publishing contracts secured for more than 500 titles. Nordic Games GmbH is a wholly owned subsidiary of Nordic Games Group AB, focusing on computer- and video games for PC/MAC/Linux and present/past console platforms. Founded in 2011, the Vienna/Austria based company puts great emphasis on its extensive game catalogue, both established brands as well as recently acquired brands. Utomik's vision to "Unleash Gaming" is designed to bring more games to more people by moving the industry into the era of subscription gaming, enabling consumers to access games as easily as they do TV shows and songs today. This vision is powered by Utomik's unique and proprietary instant play technology. Games are played directly from a consumer’s own PC - meaning lag-free play and 100% original quality on top titles, great Indie games and gems. Additionally, developers can deploy their games on Utomik’s platform in just a few hours with zero adaptations required. Utomik is about to enter its ‘Open Beta” period during which consumers will be able to sign up to try out the service for a discounted introductory monthly subscription. Currently still in its Closed Beta period, the service has attracted over 16,000 sign-ups to participate. WESTLAKE VILLAGE, USA - Utomik, the “unlimited gaming” subscription service, today announced that it has concluded a new partnership agreement with PLUG IN DIGITAL, a leading European independent games distributor. PLUG IN DIGITAL, with leading titles such as Shelter, WRC 5, Dead In Bermuda, Evoland 2 and Mini Metro, will add over two hundred games to Utomik’s subscription service. PLUG IN DIGITAL offers expertise to the video game industry in terms of distribution, commercialization, business development, strategic support and marketing. It currently distributes and markets AAA, Indie and casual games on behalf of over seventy independent developers and publishers across the world. Utomik's vision to "Unleash Gaming" is designed to bring more games to more people by moving the industry into the era of subscription gaming, enabling consumers to access games as easily as they do TV shows, films and music today. This vision is powered by Utomik's unique and proprietary instant play technology. Consumers can play games directly from their own PC - meaning lag-free play and 100% original quality on all games. Developers can deploy their games on Utomik’s platform in just a few hours with zero adaptations required. Utomik is transitioning from its closed beta mode into an open beta paid service during which consumers will be able to try it out for a discounted introductory monthly subscription. To date, its closed beta service has attracted over 12,000 sign-ups. WESTLAKE VILLAGE, USA - Utomik, the “unlimited gaming” subscription service, today announced that it has signed a partnership agreement with Merge Games, an independent video game publisher and distributor based in the United Kingdom. 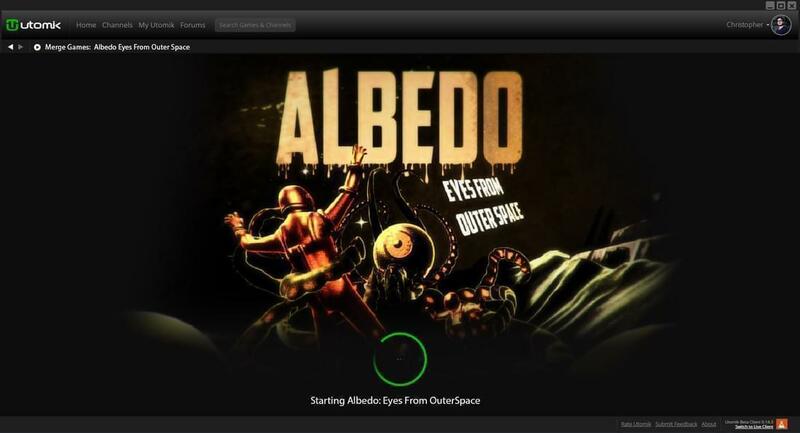 In the coming weeks, Merge Games will provide over thirty Indie games to Utomik’s subscription service, including leading titles such as Albedo Eyes from Outer Space, Cast of the Seven Godsends and Enforcer: Police Crime Action. To date, Utomik has secured publishing contracts for more than 500 games and continues to expand its library. Merge Games specializes in the development and publishing of Indie games for the retail and digital marketplace. With a portfolio of around forty games, the company currently supports some twenty independent developers in the launch and commercialization of their games. Utomik is currently in its ‘Closed Beta” period during which consumers can sign up and are guaranteed a chance to try out the no limits playtime, subscription based service for free. To date, the company has received over 12,000 sign-ups to participate and reactions remain consistently positive with 86% stating they would recommend it to a friend. More than twenty playable games per month are being added to to its closed beta service. WESTLAKE VILLAGE, USA - Utomik, the “unlimited gaming” subscription service for $9.99 per month, today announced that it has signed an agreement with Codemasters, a leading global game developer and publisher based out of the United Kingdom. As a result of this agreement, a large proportion of Codemasters games, highlights including Overlord 1 & 2, Operation Flashpoint as well as GRID 2 from the official BAFTA award-winning GRID™ games series, will be featured as part of Utomik’s subscription service. With an impressive 30-year heritage, Codemasters continues to be one of the industry’s most successful developers, creating classic titles including Dizzy, Micro Machines, Brian Lara Cricket, TOCA, Colin McRae Rally, LMA Manager and Operation Flashpoint. The company pioneered the DiRT franchise and masterminded its proprietary EGO racing engine. Utomik’s vision of the future is to “Unleash Gaming” by moving the industry into a new era through subscription-based gaming, offering consumers no limits playtime while supporting the industry for continued growth. The company’s subscription-based service is currently in its ‘Closed Beta” period during which consumers can sign up and try out the no limits playtime, service for free. To date, the company has received over 12,000 signups to participate and already secured publishing contracts for more than 500 games. Utomik’s technology distances itself from pixel streaming solutions by loading PC games up to 100 times faster, directly from a consumer’s PC ensuring 100% original quality and a lag-free experience. Codemasters, the award winning video game developer and publisher, has a 29 year heritage. With titles distributed globally, Codemasters is a leading developer and publisher of driving and racing entertainment games including DiRT, GRID and the official BAFTA award-winning FORMULA 1 series of videogames. In March 2010, Reliance Big Entertainment Ltd. (RBEL), a part of India’s Reliance ADA group, acquired a 60 per cent shareholding in the company, alongside existing investor, Balderton Capital, the leading European venture capital firm. For more information on Codemasters’ product portfolio, please visit www.codemasters.com. Join in the conversation with @codemasters on Twitter or Like us on Facebook www.facebook.com/codemasters. WESTLAKE VILLAGE, USA - Utomik, the “unlimited gaming” subscription service, today announced that it is an official partner at GamesBeat 2015, taking place 12-13 October, 2015 in San Francisco, USA. The company will present its vision to unleash gaming and demonstrate how its technology loads PC games up to 100 times faster than any other service currently available without compromising on graphical quality. Utomik’s booth at GamesBeat will allow participants to try out the new on-line subscription service offering unlimited gaming for $9,99 per month. Subscribers get access to hundreds of games and enjoy lag-free, instant play in one simple click. 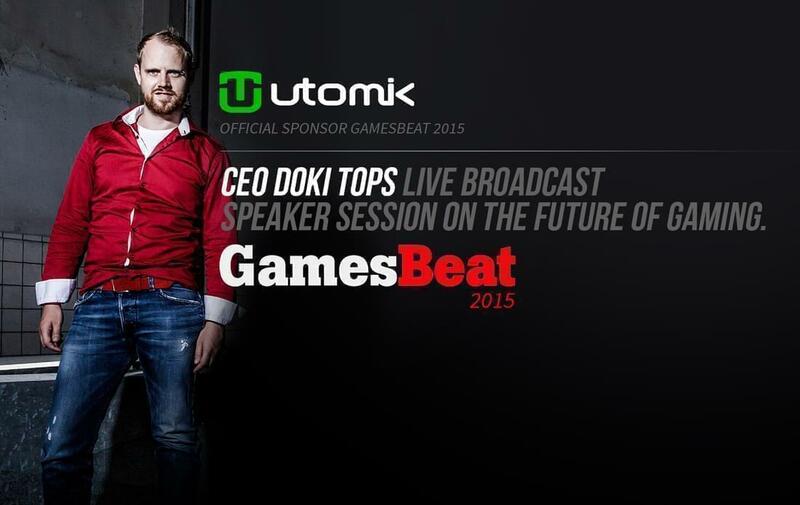 Doki Tops, Utomik’s CEO, is a speaker at the event and will make a presentation entitled “Unleash gaming, win the war and claim the throne” on Tuesday, October 13 at 2pm PST. A live stream of the session is broadcasted on Twitch. Commenting on this year’s GamesBeat, Doki Tops said, “Game of Thrones as the event’s 2015 theme is very fitting as the industry turns its attention to the design of future strategies to survive in the new reality. A change in the gaming model is ultimately inevitable. The bigger question is how to convert this into a gamer’s paradise while at the same time preserving and growing the industry. Utomik is currently in its ‘Closed Beta” period during which consumers can try out the no limits playtime, subscription based service for free. To date, the company has received over 10,000 signups to participate and reactions remain consistently positive with 86% stating they would recommend it to a friend. Additionally, over 70% said they would take a Utomik subscription when it goes live. Utomik has secured publishing contracts for more than 500 games and continues to expand its library. During the closed beta, gamers can play a selection of games from the entire library, including Darksiders II, Pillars of Eternity, Evoland 2, King Arthur II and Torchlight. Utomik, the recently announced “unlimited gaming” subscription service is launching its eagerly awaited Closed Beta today. The company, dubbed ‘the Spotify of gaming’ by the media, is sending out beta activation keys to lucky gamers around the world now. They are the first to try out this exciting new service. Utomik successfully wrapped up a first alpha phase last month and surveyed the participants to back up its claims. Gamers responded positively about the Utomik experience so far. “Color me amazed how it just works”, “No lag as promised” and “Fantastic service” are just a few of the responses. "Gamers love to play many games for a monthly fee. Their first reactions are fantastic, now we look to expand that success with the Closed Beta. "says CEO Doki Tops. During the closed beta, gamers can play a selection of games from the hundreds already under contract. Titles include Darksiders II, Broken Age, King Arthur II and Torchlight. Utomik is currently in negotiations with leading publishers to quickly expand its library of games. Innovative USA-based startup Utomik will launch a new gaming service for PC, where gamers can play games up to 100 times faster and as many as they want for a small monthly fee. To achieve this, Utomik uses a radically different kind of streaming technology. Play the real game fast from your own PC instead of watching a low quality video stream. Utomik makes playing games as easy as listening to music on Spotify. Gone are the days of long downloads, installations and never-ending patches. Unlike existing streaming services, Utomik runs the real game on your PC. A very small part is downloaded to launch you into the game, while the remaining data downloads during play. Because Utomik runs the real game on your PC, you get the 100% original game experience, not a low quality video stream surrogate. Utomik's technology works both on old and new PC titles, without needing changes from the game developer – making it a zero effort to launch games on Utomik. Utomik will feature games in all popular genres, both new and classic titles. All classic games are playable within the monthly subscription, with new releases available for purchase as Premium games. Currently 80 games are under contract with many more in the pipeline for the commercial launch.